Today in 2000, the PlayStation 2 launched in Japan. It went on to become the biggest selling video game console ever. 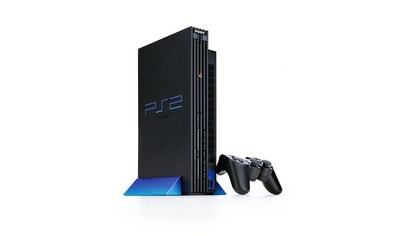 The PlayStation 2 would launch later that year in North America on October 26, 2000 and in Europe on November 24, 2000. Since then, over 155 million PS2s have been sold, and some of the greatest games ever were released on the console. It wasn’t until 2018 that Sony finally said goodbye to the PlayStation 2 in Japan. Still love the industrial design of the 10k/15k/30k/50k series PS2s. My 50006 still sits beside the our home theatre stack, right next to the Foxtel box and the XBone, mostly because it still looks great alongside them. The PS2 may be turning 20 next year since it's release back in early 2000. But as for me I think I've had enough of playing my PS2 because pretty soon I'll be getting a PS4 along with a Playstation VR headset later this year. You've only just stopped playing PS2 and are now planning to get a PS4? I think this bot has lost its mind. Still my favourite console, I think. Hosted some of my all-time favourite games. Stuff like Ico, Shadow of the Colossus, MGS3, God of War 1 & 2, Burnout 3, etc. It was a great piece of gear, wasn’t it? I mean, it even looked like the future. So many good times - GTA3 and VC, 3-D rpgs, FF10 etc etc. (Hint, a 2TB SSHD with softboot provides some interesting ideas).